Comment: Good prices, safe shopping. Certificated preloved articles. The music was nice to listen to and I especially enjoyed "Carpe Diem" and "Keating's Triumph" because both selections were quite stirring. Great soundtrack, beautiful and dark at times. I bought this specifically for the DPS score so I could hear the music where they are running in the field at night with their flashlights. I was also very pleased with the other film's songs, though I have not seen those movies and am unfamiliar with them. Pick it up! So happy you had the cd..
from other films that I had not seen. I enjoyed the complete disc. The music is great but also very 'dated' and the sound quality reflects a recording from that era. 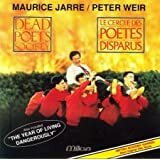 The first thing to note is that this is really a short anthology of music by Maurice Jarre from four films: Dead Poets Society, The Mosquito Coast, Witness and The Year of Living Dangerously. Second, this is one of those soundtrack albums that hasn't really passed the test of time, in my view. 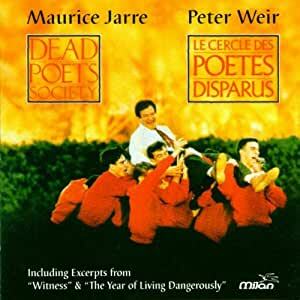 Of the four selections from Dead Poets Society, the first three are quiet, moody and rather static to my ear. The final section from the film, Keating's Triumph, is itself a minor triumph but I'm not sure if the payoff is worth having to sit through the preceding trio of tracks. The single selection from Mosquito Coast is rather amorphous and unmemorable, as is the Main Title from Witness. Building the Barn, from that same film, is by itself the raison d'etre for this release -- indeed, it's just about worth the price of the disc all on its own. 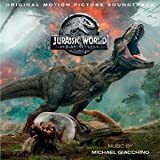 This is the electronic version heard in the movie, not a later one for regular orchestra, and it's one of the best themes in all of cinema, I think, particularly when juxtaposed with the visual segment it supported. 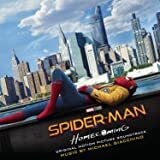 The final, massive track on the album -- which constitutes about 40% of the music on the disc -- consists of in effect a suite of music from The Year of Living Dangerously. Atmospheric and offbeat, with electronic effects and gamelans and more, this is an eccentric journey that takes some concentration but which I found very rewarding. Jarre wrote many memorable film scores, and while I don't know that I'd put most of this material in that elite circle, the disc is definitely worth a listen. Building the Barn is about as wonderful a theme as you'll ever encounter in cinema, and the music from Year of Living Dangerously is worth experimenting with. The rest of the album, about half, is in my view a rather uninteresting mix of orchestra and electronic effects, just mildly diverting. 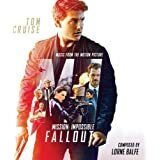 Love the music from the film, but disappointed that an album titled the same as the film didn't include more of the film music but was instead somewhat of a Maurice Jarre soundtrack compilation (including music from "Witness" and "Year of Living Dangerously").